Chiropractic treatments are a very safe and effective way to decrease neck and back pain. Chiropractic adjustments help restore normal motions and movements to painful neck and back joints. Because of time, poor posture, falling, or sleeping wrong, these joints have become injured. They start to produce muscle spasms, stiffness, and tightness in the area of their injury. Eventually these injured joints send pain signals to the body in the form of stiffness, tightness, or dull pain. If the injury progresses, people begin to experience sharp pain with movement or become more uncomfortable sitting or standing. These injured or stuck joints are improved with chiropractic treatments. In every neighborhood in Sun Lakes you'll find several people who have had great experiences with chiropractors for many years and swear by them. Other people may have had a bad experience and never went again, and yet others have never seen a chiropractor themselves. Chiropractic treatments are the safest and most cost-effective way to decrease neck and back pain, especially in older and arthritic joints. Mild and moderate joint sprains can improve quickly with chiropractic treatments. Chiropractic treatments help increase normal joint range of motion by gently pushing the joints open. This can be accomplished with several adjustment techniques. Most people have seen the manual manipulation technique, where the joints are rotated and stressed and the adjustment pushes the joint complex open. This tends to be the procedure that worries patients who have never been to a chiropractor before, because they think they are going to be hurt or injured during the maneuver. Even though they inherently know that if chiropractic was dangerous, people would not continue to go to chiropractors for their neck and back pain. Nor would many of their neighbors be raving about their chiropractor and encouraging them to go. The thought of manual manipulation makes these people feel uncomfortable and nervous about seeing a chiropractor. Chiropractic manipulation is the safest form of joint mobilization. So much that many DOs, MDs, and physical therapists are learning adjustive techniques. These providers are finding that it is more difficult to perform than it looks. It takes much more practice than a weekend seminar. Chiropractic manual manipulation is the most recognized form of treatment. Many patients are surprised to learn that there are several other ways to adjust the joint. Thompson drop technique and Activator technique are two of the most common. Thompson drop technique utilizes a table that drops two inches. The moving velocity of the table helps a gentle adjuster push one joint past the other, opening up the joint space with less force. This technique does not require that twisting or work of manual manipulation. With Thompson drop technique a patient is laying on their stomach. The table lifts up two inches, then the chiropractor places his hand on the stuck joint. With a light thrust the table drops two inches. 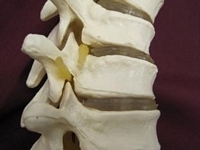 The top of the joint that the chiropractor placed his hand on moves slightly more than the joint below it, opening up the stuck joint space. Activator technique is the most studied chiropractic treatment. Activator.com has hundreds of published, peer-reviewed articles on chiropractic treatments and Activator technique. It has clearly shown the effectiveness of the Activator instrument at increasing joint range of motion. An Activator provides a sudden and controlled thrust into the joint, tapping it forward. Because of the speed of acceleration, the joint is moved before the body has a chance to tense and tighten up. This very subtle joint motion opens up the joint. Patients will not hear the popping or clicking sound that is commonly found with manual manipulation. It also does not require the torquing or twisting motions. Many patients prefer Activator Technique because they find themselves relaxing more. They know they will only experience a sudden tap on the stuck joint to increase its motion, there will not be a thrust or twisting movement. Activator technique is a great treatment for severely injured joints that cannot be adjusted with manual manipulation because of pain levels. It is also great for patients who tense or tighten before manual manipulation procedures. They are able to relax more, therefore the adjustment is more effective. Activator technique is also a great treatment for rheumatoid arthritis or osteoarthritis, which damages joint services and their normal movement patterns. Damaged joints are more difficult to adjust and are more likely to experience discomfort during manual manipulation. Joints that have severe osteoarthritis or rheumatoid arthritis can easily be adjusted with Activator Technique because there is not a torque applied to the joint and the procedure is very low force. Activator technique is commonly used on patients who are in severe pain, are uncomfortable with manual manipulation, or have degenerative joint disease that makes it difficult to adjust the joint. The end result and goal of chiropractic treatments are to increase joint motion. The Activator Technique is an excellent treatment tool for increasing joint motion with minimal discomfort to the patient.